President Andrés Manuel López Obrador has placed improvements in Mexico’s migration policy and reintegration of returning Mexicans at the top of the agenda in the first months of his administration—a determination complicated by the transit of thousands of Central American migrants and asylum seekers in caravans that have vexed the U.S. government. In addition, U.S. President Donald Trump’s insistence on building a border wall and rhetoric targeting immigrants—alongside recent U.S. policies that leave some would-be asylum seekers in limbo in Mexico for weeks and months at a time—are posing challenges for Mexico’s new government. In response, the López Obrador administration (with the president widely known by his initials, AMLO) has vowed to broadly shift the focus of the country’s migration policy from enforcement to protection. The three pillars of this new policy include protection of human rights, decriminalization of migration, and cooperation with Central America. As AMLO rolls out his vision, his administration will need to perform a careful balancing act between protecting immigrants and avoiding domestic backlash targeted at Central Americans transiting the country or remaining in Mexico—all while maintaining a cooperative relationship with the Trump administration. This article discusses the challenges the Mexican government will face in addressing rising migration from the Northern Triangle of Central America (El Salvador, Guatemala, and Honduras), protecting Mexicans in the United States, and reintegrating returned migrants into Mexican society. While Central American migration through Mexico is not new, intense media coverage of migrant caravans brought the issue into focus for much of the Mexican public in recent months. Changes in the migrants’ modes of travel, demographics, and length of stay have also altered the narrative surrounding Central Americans in Mexico. Note: Data for the United States is reported by fiscal year, which runs from October to September, while Mexico is on a calendar year. To facilitate comparison between U.S. and Mexican data, Secretaría de Gobernación (SEGOB) monthly data have been translated into U.S. fiscal years. Sources: For Mexico, SEGOB, “Boletín mensual de estadísticas migratorias, 2011-18,” accessed December 5, 2018, available online; for the United States, U.S. Border Patrol, “Total Illegal Alien Apprehensions by Fiscal Year,” accessed February 24, 2019, available online. For at least two decades, tens of thousands of people from the Northern Triangle have traveled annually through Mexico to reach the United States. As seen in Figure 1, apprehensions of Central Americans by U.S. and Mexican authorities increased sharply in 2014, amid a surge in arrivals of unaccompanied minors, and have exceeded 250,000 every year since then. The dangers of traveling alone through Mexico have been known for decades, but the intensification of violence brought on by organized crime and increased surveillance by Mexican authorities since the launch of Mexico’s Southern Border Program in 2014 pushed migrants to take more dangerous routes. They reacted to these changes by seeking safety in numbers, traveling in caravans that also allow them to avoid onerous smuggler fees and bribes and shakedowns by corrupt officials. The complexion of the flows has also changed significantly. What was once migration of mostly single men has increasingly become a phenomenon of families and unaccompanied minors. In fiscal year (FY) 2018, 40 percent of all Central Americans apprehended at the U.S.-Mexico border were families or children traveling alone, a sharp increase from 10 percent just six years earlier. Migrants are also staying in Mexico longer than before. Even though the vast majority intend to reach the United States, stricter U.S. asylum policies and slower processing of asylum seekers are stranding migrants in Mexican border towns such as Tijuana and Mexicali. In the face of these challenges, a new openness by Mexico to offer temporary visas to the migrants and greater job opportunities, are leading a growing number of Central Americans to consider Mexico as a place of refuge from the endemic poverty and violence that spurred the flight of many. Sources: For total asylum claims and pending cases for 2013-17, SEGOB, “Boletín estadístico de solicitantes de refugio en México,” accessed February 24, 2018, available online; 2018 asylum claims, Comisión Mexicana de Ayuda a Refugiados (COMAR), “La #COMAR en números: Estadísticas de solicitantes de refugio en la #COMAR,” accessed February 24, 2018, available online; for 2018 pending cases, Manu Ureste, “80% de los solicitantes de refugio en 2018 aún esperan respuesta del gobierno mexicano,” Animal Político, January 18, 2019, available online. Asylum claims in Mexico increased 23-fold in the six-year period beginning in 2013, exceeding 29,000 in 2018. This steep increase has overloaded the capacity of Mexico’s Commission for Refugee Aid (Comisión Mexicana de Ayuda a Refugiados, COMAR) to adjudicate claims. COMAR once adjudicated most cases within the 45 business days mandated by law, but in 2017 and 2018, more than 80 percent of claims awaited resolution (see Figure 2). In October 2018, the Mexican government, then led by Enrique Peña Nieto, approached the caravans with a changing mix of adversarial and protective policies. Hundreds of federal police were deployed to the Guatemala border to hold off an approaching caravan. Police used force and tear gas to contain thousands of stranded migrants, but eventually let the caravan continue its march north. A few days after the clash, and with the first caravan already hundreds of miles inside Mexico, Peña Nieto offered work permits for asylum applicants willing to stay in the southern states of Chiapas and Oaxaca. Seen as an attempt to stop the caravan from moving north, the offer was rejected by most migrants. Along the route, local and state governments set up improvised shelters to temporarily house the migrants and provide them food and basic aid. These shelters, usually operated in collaboration with religious and civil-society organizations, ranged from small tents in a town square to a sports stadium in Mexico City offering people three meals a day, water and hygiene kits, and medical attention. In Tijuana, the last stop for most in the caravans, city officials set up a makeshift shelter that quickly overflowed, straining local resources. The federal government was forced to intervene and open a bigger shelter. The response of AMLO’s government to the caravans has been, so far, sharply different. Instead of deploying the federal police, Mexico’s National Migration Institute (Instituto Nacional de Migración, INM) launched a temporary program to issue humanitarian visas to Central Americans who register at the Guatemala-Mexico border. Mexican authorities fast-tracked applications for these one-year permits, which allow migrants free movement and work authorization during their stay. Thousands lined up to register and await a humanitarian visa at the Ciudad Hidalgo border crossing. INM issued more than 12,000 humanitarian visas in the first six weeks of 2019. The agency has also started issuing humanitarian visas in shelters in Mexico City and Piedras Negras to register those without proper documentation. The changes in the reception of migrants at the Guatemala border reflect a plan to restructure INM and change its mission. In previous administrations, INM mostly focused on apprehending and deporting unauthorized migrants; its programs to protect migrant rights, including the protection of unaccompanied children, had serious flaws. However, under the direction of Tonatiuh Guillén López, a well-known migration expert, INM is expected to prioritize migrant protection over enforcement. To achieve its protection and integration goals, the administration will also have to shore up Mexico’s asylum system. So far, the government has not announced plans to strengthen COMAR or the asylum system. In fact, the 2019 federal budget cut funding for COMAR. And rather than granting permanent refugee status to those with a credible protection claim, the government’s reliance on temporary visas—which expire after a year and do not allow access to a range of services available to refugees—will limit the integration of Central Americans in Mexico. To integrate migrants into the economy, the AMLO administration plans to offer jobs in a variety of sectors, including construction—with large infrastructure projects a signature feature of its domestic policy. Mexico’s Interior Minister, Olga Sánchez Cordero, announced that Border Worker Permits (Tarjeta de trabajador fronterizo) and Border Visitor Permits (Tarjeta de visitante fronterizo), currently only available to Guatemalan and Belizean citizens, will be expanded to Salvadorans and Hondurans. This extension will facilitate hiring Central American migrants for the construction of infrastructure projects such as a 930-mile railway connecting important Mayan archaeological sites and a new oil refinery in Tabasco. Perhaps the most ambitious long-term response to Central American migration is a proposed US$30 billion development program to address the root causes of migration in the Northern Triangle. The Comprehensive Development Plan—which some are casting as a Marshall Plan for Central America—was first introduced when the presidents of El Salvador, Guatemala, and Honduras signed a joint declaration the day of AMLO’s inauguration. The details remain uncertain, including financing and whether the plan will build on the Alliance for Prosperity (a development and security plan launched by Northern Triangle countries in 2014 as a response to the surge in unaccompanied child migration). The October and November 2018 caravans were received favorably by most Mexicans, but some signs of xenophobia emerged. Several public-opinion surveys undertaken in October 2018 showed that more than half of Mexicans supported the migrants and their quest for a better life, a fact reflected in an outpouring of donations for migrant shelters. However, images of disorder in improvised shelters and people entering Mexico by force brought out some anti-immigrant sentiment. An October survey conducted by El Universal found 64.5 percent of Mexicans thought that Central Americans would either increase violence in Mexico or take jobs from Mexicans. The negative sentiment jumped to 73.1 percent in November. In Tijuana, which has become the biggest waiting room for migrants seeking to enter the United States, residents marched against the caravan, and the mayor classified the migrants as “stoners” and claimed that “human rights are just for the right humans.” Still these episodes were countered with widespread calls for tolerance and respect for immigrant rights, but they stirred intense debate about what many called hidden “Trumpism” in Mexican society. Continued rise of anti-immigrant sentiment could derail the government’s plans to protect and integrate the migrants. Yet AMLO’s government appears to understand the importance of managing migration flows in an orderly fashion and reducing concerns over immigration. Beyond the official branding of the new migration policy under the hashtags #MigraciónSegura (#SafeMigration) and #MigraciónOrdenada (#OrderlyMigration), the images of Central Americans lining up to provide biometric and personal information to enter Mexico in January 2019 showed order and control in sharp contrast with the chaotic and unsuccessful attempt to stop earlier caravans. The administration also faces recently changing trends in terms of Mexicans returning to their birth country. In an historic shift, the migration flow between Mexico and the United States has reversed. Since 2008, more Mexicans are returning than are heading to the United States. The returnees include those who were deported as well as those returning of their own volition. The exact number of voluntary returns is uncertain, but between FY 2008-18 the United States carried out approximately 3.8 million deportations of Mexicans. The 204,000 deportations of Mexicans occurring in FY 2018 represented a substantial reduction from the peak of 601,000 in 2009 (see Figure 3). Overall, deportations have declined in recent years mostly because fewer Mexicans are migrating and getting apprehended at the U.S. border. Deportations of those arrested in the U.S. interior increased 17 percent from FY 2017 to FY 2018 as U.S. Immigration and Customs Enforcement (ICE) ramped up enforcement operations. The result is a higher proportion of deportations of people with deeper ties to the United States, such as jobs, families, and homes. Source: SEGOB, “Boletín mensual de estadísticas migratorias, 2008-18,” accessed February 6, 2019, available online. Mexico has the world’s largest network of consulates—with 50 in the United States alone. These consulates—in tandem with the Institute for Mexicans Abroad (Instituto de los Mexicanos en el Exterior, IME)—provide Mexicans in the United States access to education, health, financial, and legal services. However, the perception that their services are ineffective means that most deportees do not contact consular authorities after being detained. With the intensification of U.S. interior enforcement, experts note that building trust, expanding services to provide documentation, and helping Mexicans develop contingency plans in case of deportation will be crucial for this population. AMLO has called on Mexican diplomats to strengthen protection by turning all consulates into “migrant attorney agencies” (procuradurias de defensa para los migrantes). Building on successful campaigns, such as enrollment for the Deferred Action for Childhood Arrivals (DACA) program, could be a way to build a better reputation and increase outreach. The strategy to assist Mexican youth to apply for DACA, which provides relief from deportation as well as work authorization, yielded tangible results. After the launch of DACA in 2012, the Mexican consular network partnered with community organizations to provide information, documentation, legal counseling, and funds to help tens of thousands of eligible young Mexicans get DACA protection. The Migration Policy Institute estimates Mexican nationals have the highest participation rate among those eligible for the program. Strengthening reception services and developing long-term reintegration programs for returning Mexicans has been a challenge for previous administrations. Even though reception services for people deported from the United States have significantly improved since 2014, both forcibly and voluntarily returning migrants report bureaucratic hurdles that make their reintegration much more difficult. The challenges to re-adapt vary depending on individual circumstances, but most returnees face three obstacles that can be addressed through government policies: lack of identification documents upon return, difficulty getting education credentials recognized, and difficulty fulfilling the requirements to enroll in existing government programs. First, many return migrants do not have the documents and ID cards they need to access a range of services, from opening a bank account to renting a place to live. When people are deported, INM receives deportees at one of 11 reception centers along the U.S.-Mexico border through its “We Are Mexican” (Somos Mexicanos) program. 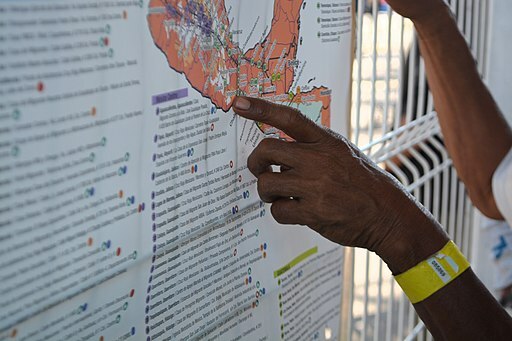 At these reception centers, people receive orientation, food, hygiene kits, medical attention, subsidized transportation assistance, referrals to local shelters, and certificates of repatriation (constancia de repatriación) that can in theory be used as a temporary form of identification to access some public services. In practice, the repatriation document is not recognized by most private or public institutions, effectively excluding returnees from many services during their first weeks back. Second, returning Mexicans face difficulty getting their U.S.-obtained education and employment credentials recognized. Employment in the formal sector usually requires skill certifications that many returnees have difficulty obtaining. For those who wish to continue their education, revalidation of studies can take months or years. Despite a reform to Mexico’s education law in 2017 that eliminated arcane bureaucratic requirements for revalidation, many federal employees do not know or understand the new requirements. Third, returnees cannot easily enroll in Mexico’s social programs, since most were not designed to consider Mexican citizens who have spent most of their lives abroad. Returnees do not meet requirements such as proof of residence (comprobante de domicilio) to register in federal health, education, and financial programs. Some jurisdictions have started adapting their programs to include this population. For instance, in 2017, Mexico City began to accept consular ID cards (matriculas consulares) and constancias de repatriación in lieu of proof of residence to qualify for unemployment benefits. Mexico’s new administration has outlined an ambitious social development agenda to reduce poverty and increase economic opportunity. Whether this agenda will extend to the incorporation of returnees into the economy and society by taking into account their experiences and unique circumstances remains to be seen. Migration is just one component of the complex bilateral relationship between Mexico and the United States. From trade to security, counterterrorism, energy, and education, the two countries have become deeply interdependent in the past quarter century. And although President Trump’s anti-Mexican rhetoric—along with the renegotiation of the North American Free Trade Agreement (NAFTA)—have strained the relationship, discord between the two countries has settled in recent months. Even if the relationship appears to have improved, muscular U.S. policy changes with regards to asylum, border barriers, and immigration policy could reignite disputes between the two countries and give Mexico less space to implement its new migration policy. The initial confusion within different parts of the Mexican government over what the United States proposed as a bilateral “Remain in Mexico” policy offer proof of the sensitivities. Initially billed as a joint deal and later largely implemented unilaterally by the United States as the renamed Migrant Protection Protocols, some migrants seeking asylum in the United States without proper documentation will now be returned to Mexico to await the adjudication of their cases. Nearly 93,000 people claimed fear of being returned to their countries in FY 2018 in the United States which means that, if fully implemented, the Migrant Protection Protocols would considerably increase the number of Central American migrants in Mexico. So far, the Mexican government has only agreed to receive people who already have humanitarian visas to stay in Mexico at the San Ysidro-Tijuana border crossing and refused to accept unaccompanied children and people with health problems. U.S. authorities started returning single males to Tijuana at the beginning of February 2019 and indicated their intent to implement the policy across the entire border; by the end of the month, families with children under the age of 18 were also being returned. The Remain in Mexico policy and U.S. limits on the number of people who can claim asylum at U.S. port of entries, combined with Mexico’s facilitation of transit migration, may create chaotic conditions in already strained Mexican border communities. As the consequences begin to be felt at Mexico’s northern border, Mexico will be leading regional negotiations to launch the Comprehensive Development Plan for Mexico and the Northern Triangle. So far, the United States has announced an investment of US$5.8 billion for Central America and another US$4.8 billion in southern Mexico, though most of this money will come in the form of loan guarantees from private-sector investment through the Overseas Private Investment Corporation (OPIC). Convincing the Trump administration to increase the U.S. contribution to a regional development strategy, particularly at a time when the U.S. president has threatened to cut off foreign aid if Central American migration does not decrease, will be one of the most difficult tasks for Mexico’s Foreign Ministry in the coming years. As Mexico pivots to becoming more of a country of immigration rather than just emigration, communicating effectively about the benefits of a shared vision for development in the region and how immigration can make sense for the Mexican economy and society will be a tall order for the AMLO government and its successors. Watch a recording of her remarks in Spanish or listen to a recording of the simultaneous English interpretation. Averbuch, Maya. 2019. Mexico Made It Easier for Migrant Caravan to Get to U.S. The Daily Beast, January 25, 2019. Available online. British Broadcasting Corporation (BBC). 2018. Migrant Caravan: Tear Gas on Guatemala Mexico Border. BBC, October 20, 2018. Available online. Camhaji, Elias. 2018. La xenofobia sale a las calles de Tijuana. El País, November 19, 2018. Available online. Carlsen, Laura. 2018. Trump and Mexico's Next President Are on Honeymoon. But It Won’t Last. Fortune, August 1, 2018. Available online. Comisión Mexicana de Ayuda a Refugiados (COMAR). 2019. La #COMAR en números: Estadísticas de solicitantes de refugio en la #COMAR. Updated February 14, 2019. Available online. Consulta Mitofsky. 2018. Caravana Migrante. Online poll, Consulta Mitofsky, October 2018. Available online. Dominguez-Villegas, Rodrigo. 2017. Strengthening Mexico’s Protection of Central American Unaccompanied Minors in Transit. Washington, DC: Migration Policy Institute. Available online. Economic Commission for Latin America and the Caribbean (ECLAC). 2018. Foreign Ministers of El Salvador, Guatemala, Honduras, and Mexico Presented Comprehensive Development Plan in the Framework of the Conference on the Global Compact for Migration. Press release, ECLAC, December 10, 2018. Available online. El Heraldo de México. 2018. Más de la mitad de los mexicanos apoyan Caravana Migrante, revela encuesta. El Heraldo de México, November 7, 2018. Available online. El Universal. 2018. Contra los indocumentados. Infographic, El Universal, November 25, 2018. Available online. ---. 2018. Se desploma el apoyo de mexicanos a migrantes. El Universal, November 25, 2018. Available online. Esposito, Anthony. 2018. U.S. Pledges Billions in Aid to Develop Central America, Curb Migration. Reuters, December 18, 2018. Available online. González-Barrera, Ana. 2015. More Mexicans Leaving Than Coming to the U.S. Washington D.C.: Pew Research Center. Available online. Instituto Nacional de Migración (INM). 2018. El INAMI se reestructura ante la nueva política migratoria. Blog post, INM, December 21, 2018. Available online. ---. 2019. Twitter Post. February 7, 2019. Available online. ---. 2019. Twitter Post. February 8, 2019. Available online. Malkin, Elisabeth and Maya Averbuch. 2018. Short of Their Destination, Caravan Migrants Wrestle with Next Steps. New York Times, November 21, 2018. Available online. Meissner, Doris and Sarah Pierce. 2019. A Wall Cannot Fix Problems at Border; Smart Solutions for Asylum Crisis Can. Commentary, Migration Policy Institute, January 2019. Available online. Migration Policy Institute (MPI) Data Hub. N.d. Deferred Action for Childhood Arrivals (DACA) Data Tools. Accessed February 10, 2019. Available online. Najar, Alberto. 2018. Caravana de migrantes: AMLO anuncia un inédito programa de visas de trabajo en México para tratar de contener la migración centroamericana a EE.UU. BBC News Mundo, October 18, 2018. Available online. Ribando Seelke, Clare and Carla Y. Davis-Castro. 2019. Mexico’s Immigration Control Efforts. In Focus brief, Congressional Research Service, Washington, DC, updated January 3, 2019. Available online. Rodríguez, Ernesto. 2016. Central American Migrants in Irregular Transit through Mexico: New Figures and Trends. Policy brief, Central America-North America Migration Dialogue, Guadalajara, Mexico, December 2016. Available online. Ruiz Soto, Ariel G., Rodrigo Dominguez-Villegas, Luis Argueta, and Randy Capps. 2019. Sustainable Reintegration: Strategies to Support Migrants Returning to Mexico and Central America. Washington, DC: Migration Policy Institute. Available online. Russell, Benjamin. 2018. AMLO Update: More Signs He’ll Tread Lightly with Trump. Americas Quarterly, November 30, 2018. Available online. Sánchez, Gabriela. 2018. Los ataques xenófobos y las políticas contradictorias de México obstaculizan la unión de la caravana migrante en Tijuana. ElDiario.Es, November 17, 2018. Available online. Santiago, Leyla. 2018. Mexico’s New Leader Wants a Reboot with the U.S.: How Long Will the Honeymoon Last? CNN, July 7, 2018. Available online. Schrank, Delphine. 2018. Mexico Offers Plan to Keep U.S.-Bound Migrants in Mexico. Reuters, October 26, 2018. Available online. Schultheis, Ryan and Ariel G. Ruiz Soto. 2017. A Revolving Door No More? A Statistical Profile of Mexican Adults Repatriated from the United States. Washington, DC: MPI. Available online. Secretaría de Gobernación (SEGOB). 2018. Boletín mensual de estadísticas migratorias, 2008-18. Accessed February 6, 2019. Available online. ---. 2018. Boletín estadístico de solicitantes de refugio en México, 2013-17. Updated November 15, 2018. Available online. ---. 2018. Boletín mensual de estadísticas migratorias, 2011-18. Accessed December 5, 2018. Available online. ---. 2019. Se ofrece trabajo y un salario a personas migrantes centroamericanas: SEGOB. Press release, SEGOB, January 23, 2019. Available online. Secretaría de Relaciones Exteriores (SRE). N.d. Consulados de México en el Exterior. Updated January 30, 2018. Available online. Selee, Andrew. 2018. Vanishing Frontiers: The Forces Driving Mexico and the United States Together. New York: Public Affairs. ---. 2018. ¿(Des)Acuerdos Migratorios? El Universal. December 21, 2018. Available online. Sieff, Kevin and Mary Beth Sheridan. 2018. U.S., Mexico Pledge Billions to Reduce Migration from Central America. Washington Post, December 18, 2018. Available online. Singer, Audrey, Nicole Prchal Svajlenka, and Jill H. Wilson. 2015. Local Insights from DACA for Implementing Future Programs for Unauthorized Immigrants. Washington, DC: Brookings Metropolitan Policy Program. Available online. Timmons, Patrick. 2018. Mexico City Welcomes Migrant Caravan with Shelter, Aid. United Press International (UPI), November 5, 2018. Available online. ---. 2019. Mexico Sends Mixed Signals about U.S. Returning Asylum Seekers. UPI, February 6, 2019. Available online. Ureste, Manu. 2019. 80% de los solicitantes de refugio en 2018 aún esperan respuesta del gobierno mexicano. Animal Político, January 18, 2019. Available online. U.S. Border Patrol. N.d. Total Illegal Alien Apprehensions by Fiscal Year. Accessed February 24, 2019. Available online. U.S. Customs and Border Protection (CBP). 2018. Claims of Credible Fear Increase in Fiscal Year 2018. Press release, December 10, 2018. Available online. U.S. Immigrations and Customs Enforcement (ICE). N.d. Fiscal Year 2018 ICE Enforcement and Removal Operations Report. Washington, DC: ICE. Available online. Verza, Maria. 2019. U.S. Sending Central American Migrant Minors Back to Mexico. Associated Press, February 25, 2019. Available online. Washington Office on Latin America (WOLA). 2018. By Bottlenecking the Asylum Process, the U.S. Government Is Contributing to Chaos and Harm at the Border. Press release, November 26, 2018. Available online. Rodrigo Dominguez-Villegas is an independent consultant for MPI. His research areas include international migration in North and Central America, return migration, and Mexico’s migration policy. This interactive map shows trendS in Mexican migration to the United States by state of residence for each year between 2004 and 2015. Based on a survey of migration flows along Mexico’s northern border region, the map displays the annual number and share of Mexican migrants who are travelling to the United States and who do not have return itinerary.